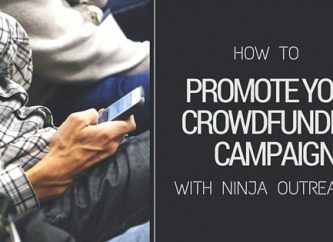 We've just released a large development update to NinjaOutreach. 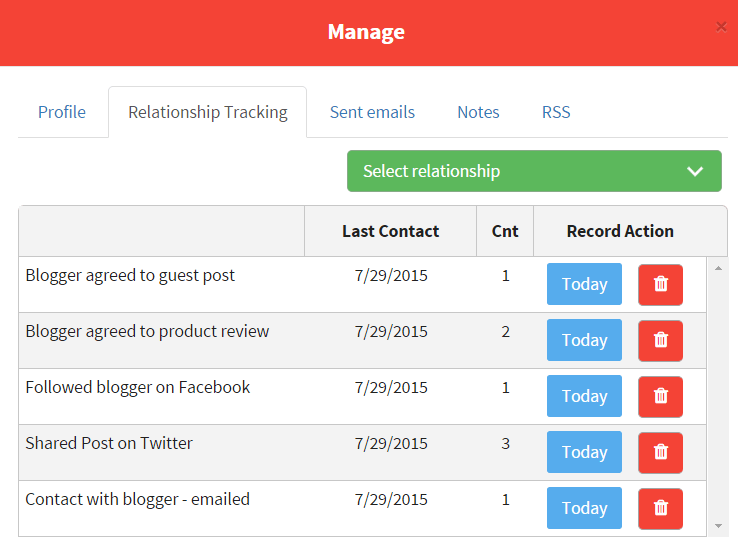 New features are data fields, advance contact import and email management. Let's go over the changes! 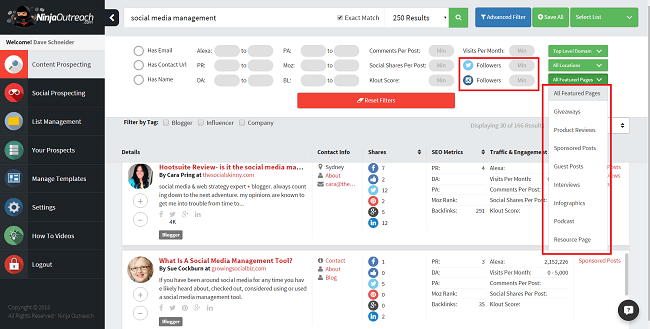 We wanted to make the content prospecting search stronger, so we added Exact Match capabilities. This means that if you type in a set of three words, all of them will have to be present in the results, if the Exact Match box is checked. This will inevitably return less results, but they will be more relevant. If you find you aren't getting enough results, you can always uncheck the box or vary up your search terms. This functionality already existed in the Social Prospecting tab, but has now been brought to the Content Prospecting tab as well. 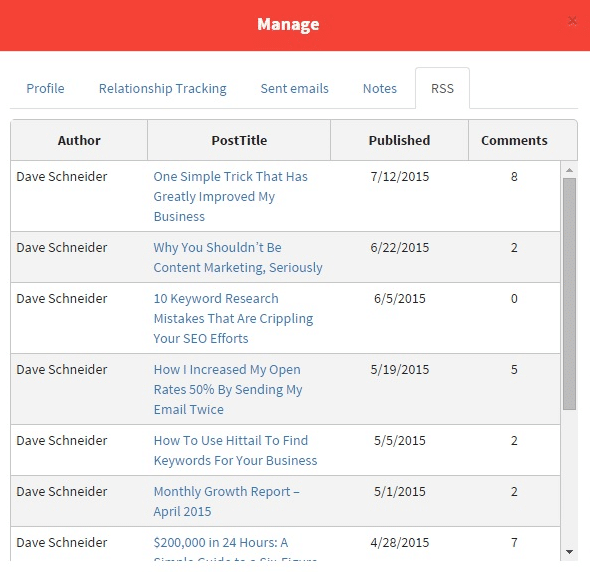 We've improved our crawler by adding more data fields to help you get what you're looking for. This has also resulted in some changes to the Advanced Filter. Largely, we've simplified the design, and added in the new special pages to filter on, as well as follower counts filtering. Additionally, we're adding new websites and social profiles at a rate of tens of thousands daily, so the database is filling out quickly to help you find what you're looking for! The change I'm most excited about is our new advanced import. 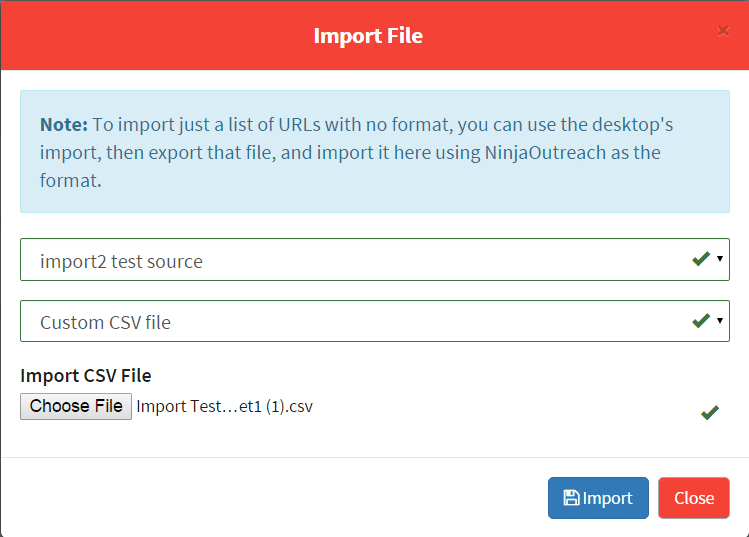 Essentially what this allows you to do it import any CSV into NinjaOutreach. On the next screen, your CSV's header columns will be on the left. Match them on the right to our columns, and hit import. If there is no match, leave the drop down blank/as is. Once you do this, your CSV will import into the selected list. 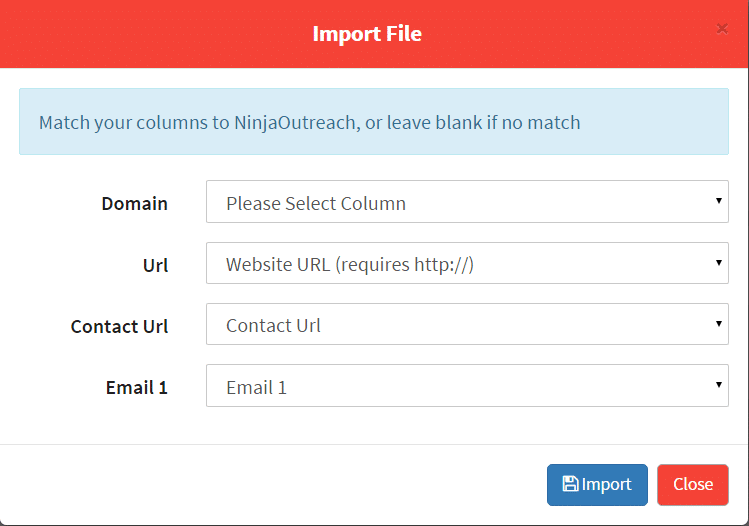 NinjaOutreach will fill in your data as you have it in your CSV, as well as attempt to fill in additional data if we have it in our database. This means if you don't have email addresses for your URLs, we will fill it in for you! Second only to the Advanced Import, this is my favorite feature. On this page you get a snapshot view of the prospect, and can add links that you agreed on. 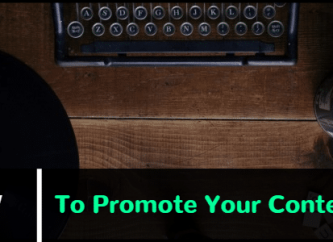 Want to know what stage you are at with a prospect? We have an extensive drop-down menu from which you can select what actions have been done on a prospect. It will say when, what, and how many times. 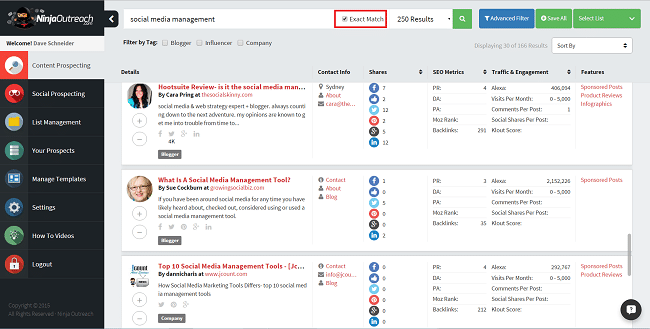 This has also been added to the filter, so you can find all the prospects who are at the same relationship stage, for example, all of the bloggers who agreed to a guest post. See what emails have been sent to the prospect, who sent them, and when. 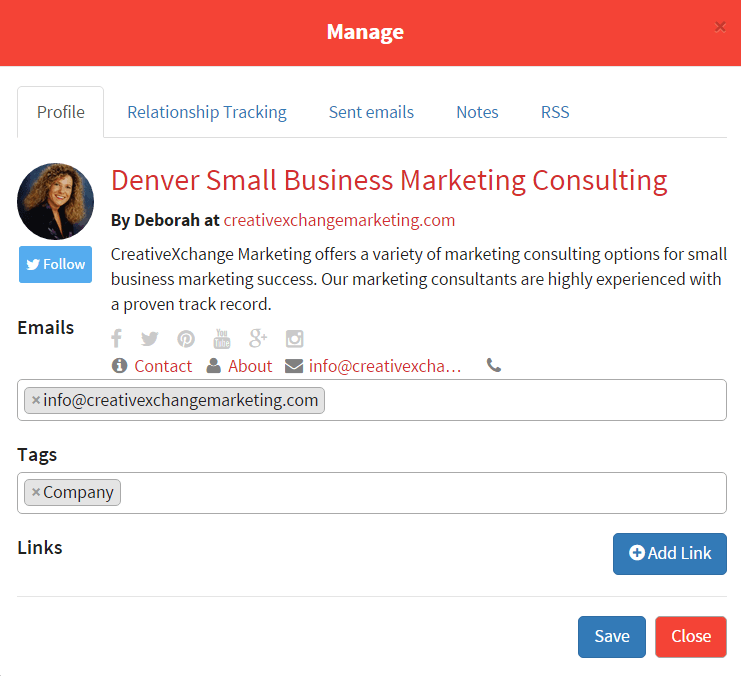 This syncs across all your team members, so you will always know who has sent what email to whom. 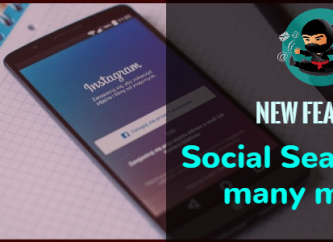 It also shows you when your next follow-up is based on your settings. You can now leave a note history on each prospect. 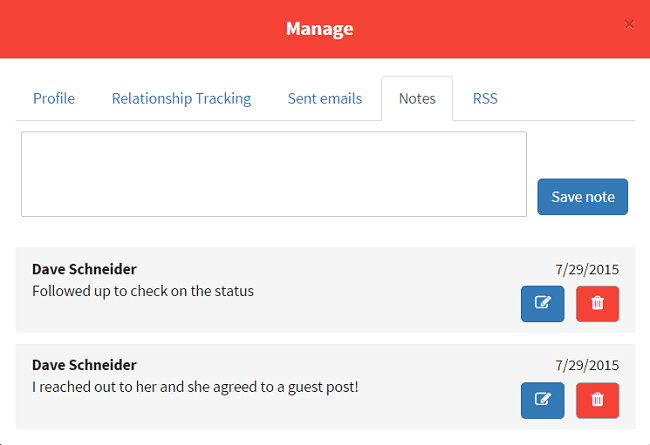 This also syncs across all your team members, so you can essentially have conversations/leave updates to each other about a prospect. We've added an RSS feed when available so you get a better sense of the prospect, what they're writing, and can personalize your outreach to reference recent posts. Following up is a huge part of outreach, and before now there wasn't a great way to track it in NinjaOutreach. 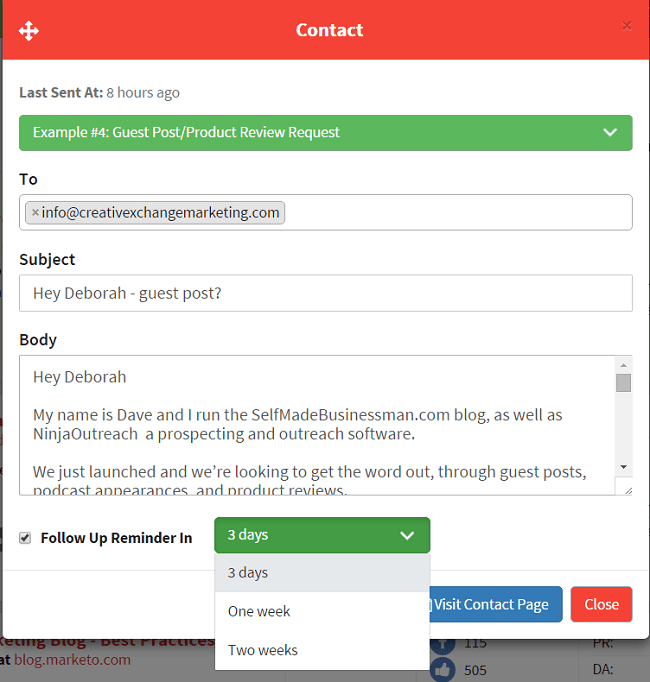 Now, when you send each email, you will be defaulted to a follow-up of 3 days later (which you can adjust via the drop down menu). This has led to some new fields in the Email History drop down menu in the filter (see below), so you can specifically select to see the prospects that you need to follow up within the list on Your Prospects tab. If/when you send another email, we will tag the follow up as "sent", and the prospect will be removed from this list. You can also see in your email history when the next follow-up is due! 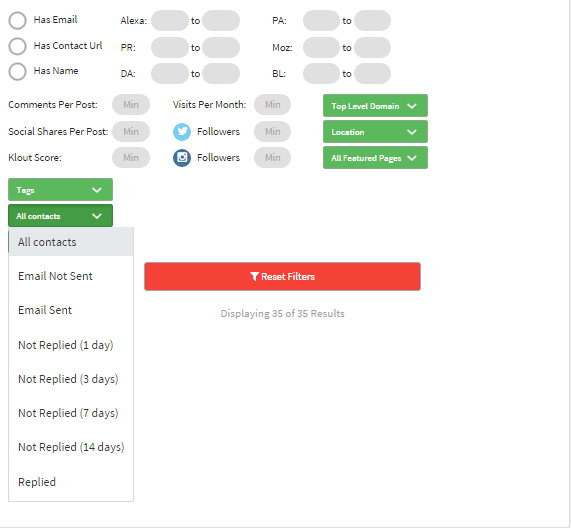 Instead, we have replaced it with the "Not Replied" filters which you can see after you click on the "All contacts" dropdown when you are in the Outreach mode's filter. 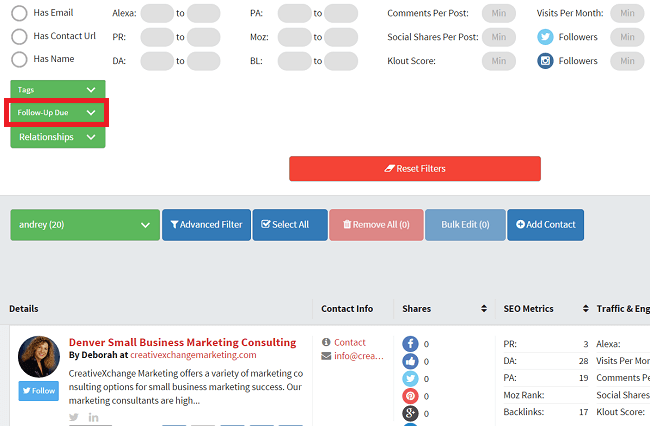 This will allow you to monitor who among all your prospects in a list has not yet responded so you can send a follow up email from then. We've integrated with Intercom.io, so now you can send us chat messages in the app itself. We're pretty responsive, so you can expect a reply within 24 hours almost always. Just let us know if you're having trouble, or if you have questions, and we'll get back to you. You'll see the response in the bottom right of the app, keeping your inbox nice and clean. So, what do you think of these new features? What else would you like to see?